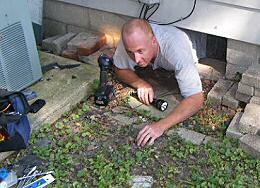 In general, we inspect all the places in a home where problems may be lurking. We examine every inch of crawlspace and attic as visibly possible for these places in which problems are often found. We are not afraid to get dirty. Sometimes the eyes, ears and nose are not enough to find a problem. We use the most up-to-date inspection equipment available to help us find even the problems that can go unnoticed. Our detection equipment includes the TIF 8800A combustible gas detector, GB instruments electrical testing equipment, a protimeter moisture meter, and more. All inspections are done in accordance with the standards of practice of the National Association of Certified Home Inspectors. 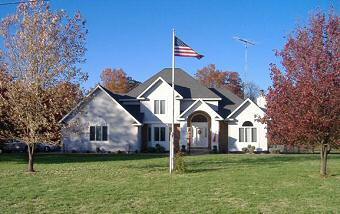 We take pride in the detailed and professional reports that we provide with each home inspection. Our reports are computer generated in the office. They can be printed and hand delivered or mailed. Since they are also digital, they can be emailed, or faxed to you, your agent, bank or whomever you would like to have a copy of your report. This multi-page report includes digital pictures and a helpful guide to owning and maintaining your home, all put together in a hardback 3-ring binder. Beware of on-site reports: At Quad County Home Inspections, we do not deliver or believe in quick on-site reports that do not deliver the details that you deserve. As with every home inspection performed, extreme care and pride goes into every inspection report. Between 1 1/2 to 2 1/2 hours goes into the preparation of every report. Your home inspection will include digital photos next to any items at issue. 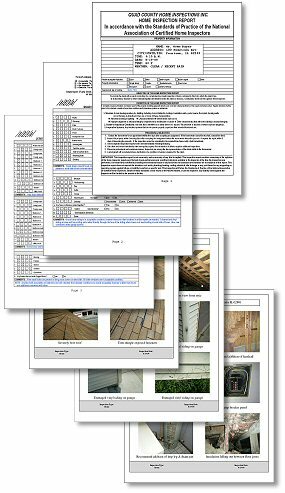 Your home inspection report will have a wealth of information about your new home in it. This is a document you will want to save for future reference. A home inspection from Quad County Home Inspections also includes a mold & moisture evaluation at no additional charge. Interiors, basement, crawlspace, and attics are checked for visible signs of mold and moisture levels are checked. If problems are found then air quality testing can be performed. Air quality testing will determine your indoor air quality. Air quality testing is in addition to the standard home inspection. Scientific evidence has indicated that the air within homes and in other buildings can be more seriously polluted than the outdoor air even in the largest and most industrialized cities. 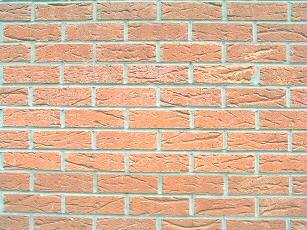 Other research indicates that people spend approximately 90 percent of their time indoors. Thus, for many people, the risks to health may be greater due to the exposure to air pollution indoors than outdoors. Through air quality testing we can identify the quality and description of mold and harmful bacteria down to the genus and species to help correlate our findings to the symptoms of your occupants. We will identify the problems so we can offer you specific recommendations to restore the air quality in your home. In many cases, we can correct the problem with the use of our remediation services especially in cases of mold contamination. Our mold detetion and inspection is one of the best. 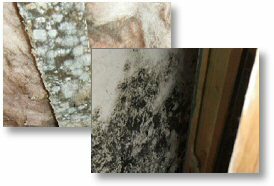 We find basement mold, bathroom mold, mold in walls and house mold where ever it may hide. We do mold and mildew removal and remediation. Don't suffer from mold symptoms due to toxic mold.